Clear All-Day are monthly lenses that feature an aspherical design. Their unique, bio-compatible material imitates the natural composition of the eye, ensuring comfort and sharp vision. 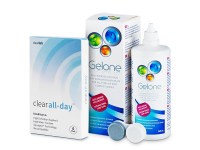 This value package includes a 360 ml bottle of Gelone solution and an antibacterial lens case. Clear All-Day are aspheric contact lenses intended for daily wear with a monthly replacement schedule. 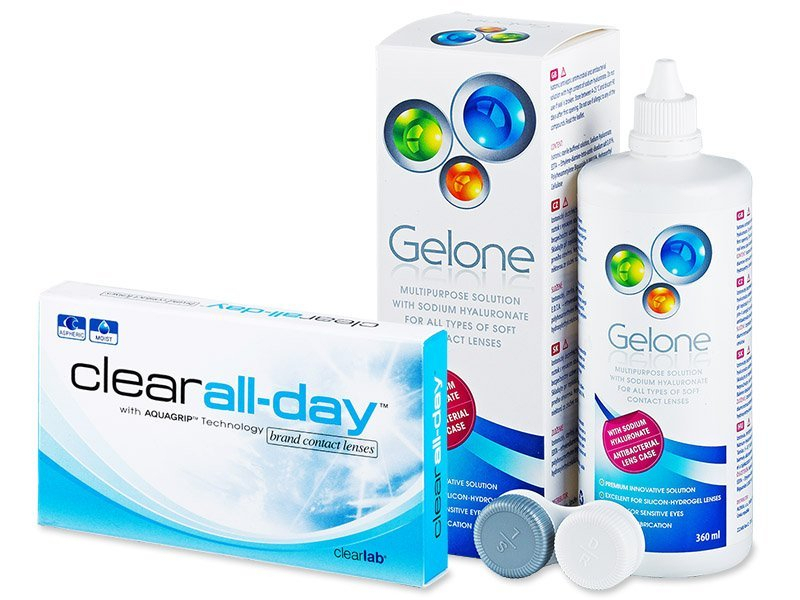 Produced by ClearLab, these lenses are made from bio-compatible materials and the brand's patented Aquagrip technology helps the lenses retain moisture for comfortable wear.